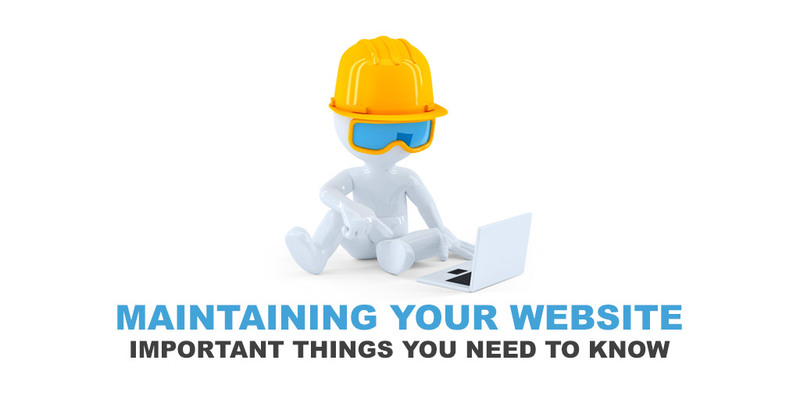 Maintaining Your Website: Important Things You Need to Know - WOW - Connect with ServerFreak "Best Hosting Provider in Malaysia" WOW – Connect with ServerFreak "Best Hosting Provider in Malaysia"
In this article, we will be focusing on the essential things you need to know about maintaining your business website. A well-maintained website will always have updated extensions, plugins, themes and software. Your users could experience bugs that make it impossible for them to access content on your site if all the components on your website are not properly updated. Additionally a poorly maintained website could be at risk of being hacked, and your business’s reputation will be placed on the line. Therefore, it is highly important to install updates for anything on or connected to your website regularly as soon as they’re released so that there will be no interruptions or breaches. It is recommended to check on each plugin or extension and manually install updates whenever a new patch is released by the developer. As more users are accessing and sharing confidential and personal information online when they fill out forms, or making purchases, website security is becoming increasingly important than ever before. The best advice is to stay informed always of the latest security threats and concerns, and install plugins and applications that consistently and automatically scan your website for threats. This is due to the fact that hackers are always perfecting their skills and changing the way they try to infiltrate applications, databases, systems and websites. We believe that you do not want your website to be part of the hacking statistics hence it’s crucial to understand the threats and learn more about things you can do right now to safeguard your website. Due to advances in technology and computing, code for applications, systems, web browsers and even your website scripts will become outdated and require updates eventually. It is advisable to monitor the source code of your website consistently, to ensure your website is free from malware injection, accessible and viewable to others. Source code for websites typically includes HTML (Hyper Text Markup Language) code and CSS (Cascading Style Sheets) code. HTML ensures your website is viewable on the web, and CSS defines how your website content will appear. Whenever larger web standards or application updates are released, you need to perform website source code verification in order to make sure your website is consistently appearing appropriately in the search engine results and across devices correctly. You may want to perform back up on your website content files multiple times daily in order to prevent losing all the content files on your website to potential glitches, hackers or system errors. To prevent possible hacking incidents toward your website, hosting account and important website files, it is highly recommended to keep what you need on your website only while deleting unused or unwanted plugins, themes, user accounts (especially WordPress, Joomla and other popular CMS) and applications. Otherwise, hackers can still use unused and outdated plugins and accounts to penetrate your website and access its content files. You also run the risk of bogging down your website with outdated and unused files, applications, content, etc. It is inevitable that your website database will start to accumulate and store a lot of unneeded information that can reduce your website performance, especially after your website has been active for a certain period. This makes your website loading time slower, which will irritate site visitors and may potentially cause them to leave your site even before engaging with your content or converting into paying customers. Therefore it is highly recommended to monitor and manage your databases so that you have deleted unnecessary content files to make room for new files, optimizing data sets and reporting (especially for customer transactions and information), and keeping everything well-organized and easy to find. If you own a WordPress site, spam comment is one of the most common issues you are going to encounter. Always remove comments that are spam-like and non-relevant to your business or website. This action is crucial if you want gain your visitor’s trust and getting your web content to rank well in search engines. Occasionally you may also receiving unwanted spam links in the comments sections that redirects the visitors to potential malware sites or inappropriate adult sites. To counter this problem, you can implement security features that disable all comments or forcing commenters to verify their identity first before they can start placing comments on your blog post. For your information, a well-maintained website is one that will load in less than three seconds. A well optimized website will not be bogged down with unneeded files, plugins, etc. You can analyze your website loading speed by using a free tool like GTmetrix. GTmetrix generates scores for your pages and offers actionable recommendations on how to fix them. It is recommended to fix or remove all broken URL links that don’t redirect visitors to actual web pages because a website with broken outgoing links will badly affect your website ranking in the search engines. You can always use a tool like SEMRush to audit all the links on your website on a rolling basis, so you can easily identify and replace dead links that don’t redirect visitors to valid web pages. A website with responsive web design is a site that is able to adapt to the screen it is being used on, regardless of what device it is. The website automatically reformats to offer the visitor a better experience that is well suited to their device and in line with Google recommendations. Therefore, always make sure that your website is accessible and readable on all mobile devices and in any web browser. Be sure all your forms are easy to fill out on mobile and that your website is easy to navigate on any mobile device. You should use tools like those provided by Google Webmaster Tools to continually troubleshoot easy-to-spot issues with your site that you can easily fix, and to stay up-to-date with web maintenance concerns and technology. Once you work hard to build the perfect website for your business, don’t forget to maintain it or you could be losing out on real opportunities to outshine your competition and gain more customers.